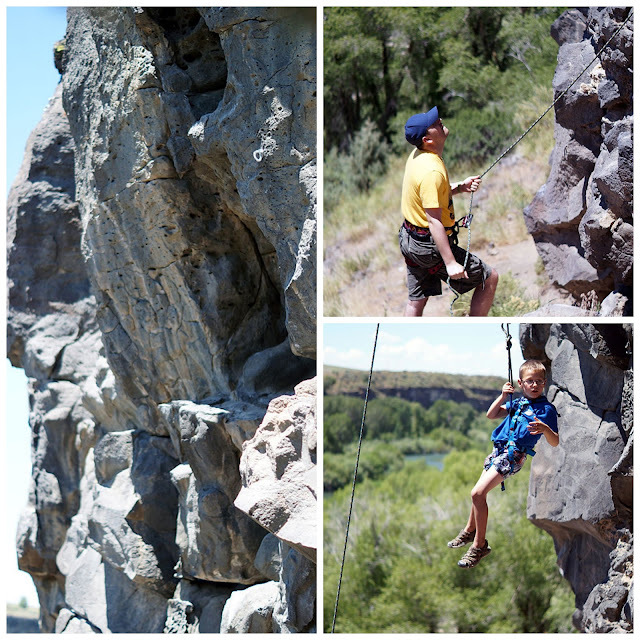 The day after the 4th, my brother Geoff wanted to take the boys climbing. He has a child harness and the boys were so excited to go. 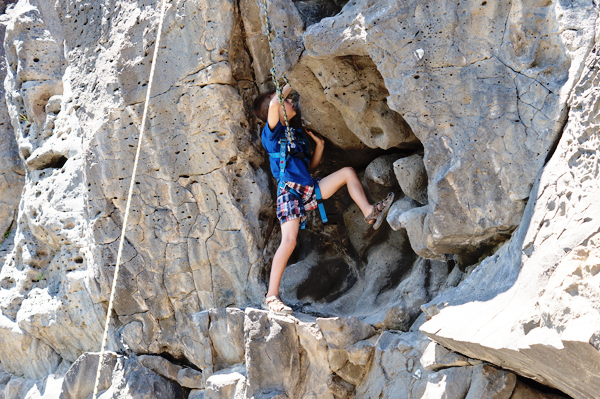 My brother is super outdoorsy and loves climbing and hiking. You can find him on the side of a mountain in his spare time when he isn't working on his Master's Degree. We went climbing about 40 minutes from where my parents live. There was one spot that we were going to go, and then we found out that they started charging per person. Geoff said he knew of another place, but it was a short hike up to it. I figured I could do a short hike, even though I'm almost 8 months preggo. Once we got to the spot, I realized it was straight uphill and rocky. It was kind of unnerving. I was in flip flops and it was REALLY steep. It was not a fun hike and not one that I would do again while pregnant. I was also super paranoid that the boys were going to slip and fall down the side of the mountain. Once we got up and settled, Geoff got everything set up while Marshall was at the bottom helping him. My parents came along and it was really fun to watch the boys climb. Chandler went first and did a really great job! I think both of the boys liked the fact that they could let go of the rock and they would just hang there. It was interesting watching them problem solve to try to get up. Rowan was next to go and he thought he was spiderman. I think he spent more time hanging than climbing but he did an awesome job for 5 years old. As he was suspended and coming down, he started shooting spider webs out like he was spiderman. It was so funny to watch. Hiking back down the mountain was even worse than hiking up. I almost slipped and fell a few times, and had a death grip on Marshalls hand as he was stabilizing me on the way down. 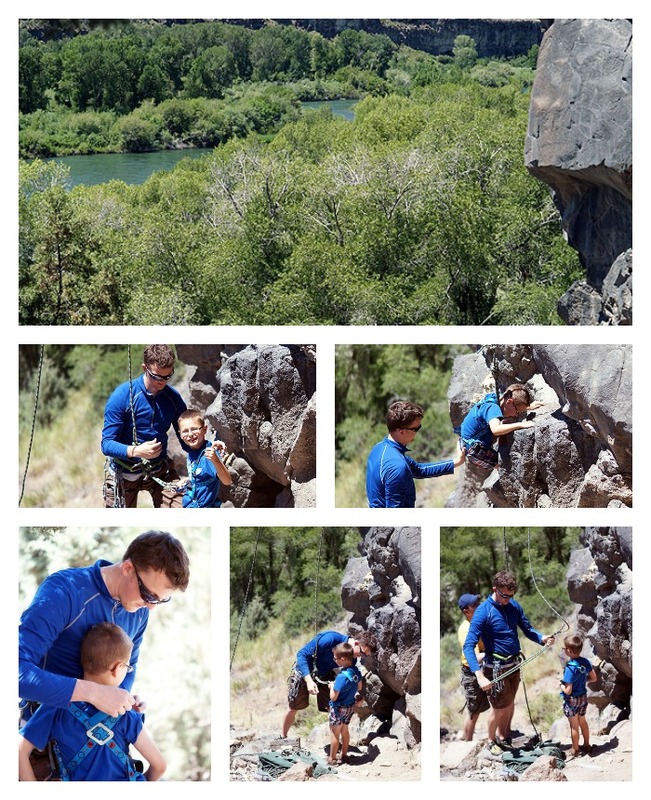 The boys loved climbing so much and can't wait to go again. 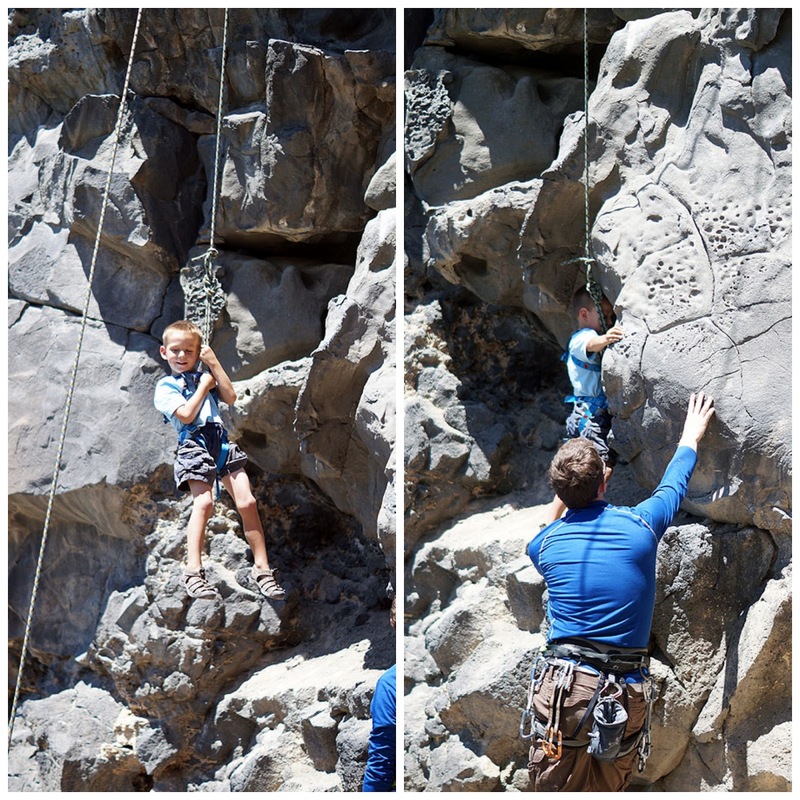 We have a family reunion at the first of August and Geoff said he would take the boys climbing again. What a fun opportunity for your boys! They are so brave.